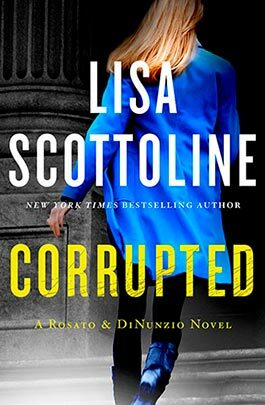 A Note from Lisa to Rosato Fans: I love writing the Rosato series for many reasons. It’s a chance to stay in touch with characters like Bennie, Mary, Judy, and Anne and see how their relationships change over time, which is just like real life. 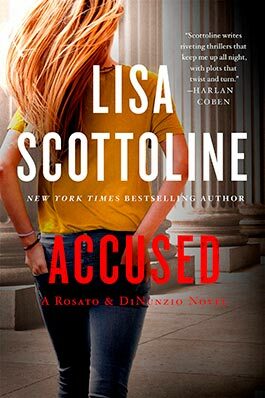 When I begin to write them I always feel as if I’m catching up with an old friend and the question I always have is “What is going on with Judy.” I hope that many of you Rosato fans have the same questions, so here are two little BONUS chapters about Judy that will tell you exactly how she is feeling about her life, her job, and her boyfriend, Frank, when Betrayed opens. Enjoy! Judy Carrier eyed her reflection in the shiny elevator doors, wondering when mirrors stopped being her friend. Her cropped yellow-blonde hair stuck out like demented sunrays, and her pink-and-blue Oilily sweater and jeans clashed with her bright red clogs. Worst of all was her expression, easy to read on a face as flat as an artist’s palette, with troubled blue eyes set wide over a small nose and thin lips pressed unhappily together. Judy tried to shake off her bad mood when the elevator halted and the doors slid open with a ping. ROSATO & DINUNZIO, LLC, read the shiny brass plaque, and she crossed the reception area, empty of clients on a Saturday morning. The office was quiet, but Judy knew she wouldn’t be the only one in, because lawyers regarded weekends as a chance to work uninterrupted, which was their version of relaxing. She heard her cell phone ringing and slid it from her pocket because she’d been playing phone tag with a client, Linda Adler. She checked the screen, but it read “Mom calling,” with a faceless blue shadow. Judy had never bothered to put in a profile picture for her mother because the shadow seemed oddly perfect. Judy had grown up a Navy brat, but her family never developed the us-against-the-world closeness of a typical military family. The Carriers moved, skied, and hiked together, but their activities were a sort of parallel play for adults, and now they scattered all over the globe and emailed each other photos of themselves moving, skiing, and hiking. Judy clicked IGNORE and returned the phone to her pocket. She rounded the corner to the hallway and brightened at the sight of her best friend, Mary DiNunzio, who turned when she spotted Judy and came hustling down the hall toward her, grinning from ear to ear. Mary had recently made partner, becoming Judy’s boss, but neither of them knew how that would play out over time. Judy avoided thinking about it, and in any event, Mary made the most adorable boss ever in her tortoiseshell glasses, navy sweater, jeans, and loafers, with her little legs churning and her light brown ponytail bouncing. “Judy, I was waiting for you! I have great news!” Mary reached her, light brown eyes warm with anticipation. “Hi, cutie, tell me.” Judy entered her office, and Mary followed her excitedly inside. “The great news. We’ll start slow.” Judy slid her woven purse from her shoulder, tossed it onto the credenza, and went around to her chair. She sat down behind a desk cluttered with a laptop, case correspondence, a Magic 8 ball, ripped Splenda packets, and an empty can of Diet Coke. Law books, case reporters, notes, and files stuffed her bookshelves. She was going for creative clutter, but lately worried she was entering hoarder territory. “Yes.” Judy was going to be maid of honor at Mary’s wedding, though she’d never been in a bridal party before. She was studying by watching bride shows on cable, but none of them told her that being maid of honor was like being executor of a vast and complicated estate, without the fee. “Of course.” Judy had already been to two bridal shops and seen Mary try on a zillion wedding dresses, but they all looked the same to her, like vanilla soft-serve without the cone. “Cool!” Judy kept her smile in place, but wondered why she felt so negative, the Debbie Downer of bridesmaids. She wasn’t jealous that Mary was getting married, but she wished she had what Mary had, which wasn’t the same thing. It was more that Mary was moving forward, already a partner and soon a wife, while Judy got left behind, stuck. Judy didn’t know how to get herself to the next level or what she was doing wrong. She’d always been on top, earned the best grades at school and succeeded at work. But now she sensed she was blowing her lead, at life. “Great!” Judy answered, meaning it, since she was closer to Mary’s mother than her own. The DiNunzios were warm and loving South Philly Italians, so they’d practically adopted her, whereupon she’d permanently gained ten pounds. “Right, it wasn’t that expensive,” Judy said, though she’d forgotten how much the veil cost. The answer was, probably, a fortune. She’d learned that everything associated with weddings cost the same— a fortune. “More wedding updates?” Judy braced herself to hear the latest drama with the DJ, the menu, the reception hall, the church, the invitations, or Mary’s future mother-in-law, Elvira Rotunno, whom they called El Virus. “But they’ll take two or three years to try.” Judy was trying to process the information, which struck her as lawyer hell. Judy felt a twinge that Mary was taking Bennie’s side, but she should have known it would happen, someday. Mary and Bennie were the sole partners of this all-woman firm, and nobody in her right mind opposed Bennie Rosato. Bennie was a worldclass trial lawyer who’d grown the firm to national prominence and she hadn’t reached the top by being a creampuff. On the contrary, the woman owned a coffee mug that read I CAN SMELL FEAR. Suddenly, there was a commotion outside Judy’s office, and they turned their attention to the door. Judy’s boyfriend, Frank Lucia, materialized in the threshold, flashing the easy, confident grin that was one of the reasons she’d fallen in love with him. He’d been out of town last night, and she still got a thrill out of seeing him, especially looking so handsome in his puffy black jacket, tie-and-work-shirt combo, and jeans. “Frank, what a surprise!” Judy said, brightening. “Okay.” Judy felt a warm rush of love, breathing in his familiar smells of aftershave and mortar dust. Frank was a smart, straight-up Italian hunk who owned a successful specialty masonry company, and they’d lived together for the past few years. “Let’s go eat, I’m starved.” Frank raked big fingers through his thick, wavy hair, the same espresso-brown as his large, bright eyes. “That’s too late.” Judy had explained this to him ten times, but she couldn’t seem to make him hear her. “Tell her I said hi,” Mary said, because everybody loved Aunt Barb. She lived about an hour away, in Kennett Square, Pennsylvania, and they’d all been out to her house for beer and barbecue. Last year, Judy’s uncle Steve, Barb’s husband, had passed, and the whole office had gone to his funeral. “Aunt Barb, hi, how are you?” Judy answered the call, realizing that she hadn’t seen her aunt in a few months, though they talked on the phone all the time. “Hello, honey,” her aunt said, and Judy knew immediately that something was wrong. Her aunt sounded grave, when she was usually so warm and happy. “What?” Judy asked, surprised. Her parents lived in Santa Barbara, and her mother rarely visited her or Aunt Barb, and never unannounced. An hour later, Judy reached Kennett Square, a small town in semi-rural Chester County, and she pulled onto the gravel driveway in front of her aunt’s small brick house, cut the ignition, and checked her reflection in the rearview mirror. Her eyes were still wet from crying, but her skin wasn’t as mottled as it had been when she’d first heard the horrifying news. I have breast cancer, her aunt had said, and Judy hadn’t heard anything else. She sniffled, reached for a crumpled Dunkin’ Donuts napkin, and wiped her eyes one last time. She pulled her key out of the ignition, got her purse, jumped out of the car, and hurried down the driveway past the garage. The sun was high in a cloudless sky, and the October air unseasonably warm, the lovely weather incongruous given the heartbreaking news. Judy couldn’t imagine losing her aunt. Her aunt was too young to die. She broke into a jog as soon as she saw her aunt, who looked so different from the last time she had seen her, only five months ago. Barbara Elizabeth Moyer was a tall, strong woman and had always been on the huggably beamy side, but no longer. 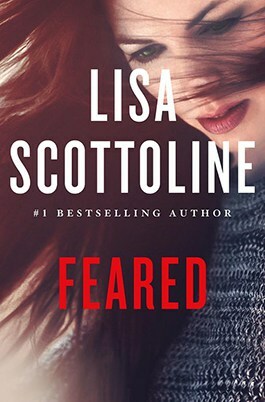 Her fisherman’s sweater and jeans drooped on a much thinner frame, and her long, thick silvery hair had vanished, replaced by a red bandanna knotted at her nape, over a newly bald head. She was only in her early fifties, but her face had acquired the gauntness of an older person, emphasizing the prominence of her cheekbones and her large, deep-set blue eyes. She sat alone at her wrought-iron table with a glass top, surrounded by the fading reds, pinks, and yellows of her beloved roses, now past their season. “Aunt Barb!” Judy called out, tears returning to her eyes. She threw open her arms just as her aunt stood up and gave her a hug. “No it’s not!” Judy blurted out, burying her head in her aunt’s bony shoulder, knowing that she was saying the exact wrong thing at the exact wrong time. Judy and Mary are best friends, but they are very different. For instance, Judy is more able to take risks and roll with the punches than Mary, who likes to plan, process, and is generally more timid. Are you a Judy or Mary? Do you take risk easily or do you avoid it? As you get older, do you take more risks, or less? In Betrayed, Judy investigates a death she believes is a murder, and she does this because she cares about justice. Justice is at the heart of so many of Lisa’s books, because she believes that it is a powerful motivator for people, as it is for her. As a lawyer, Lisa learned that in the profession it is called the “justice bone.” It is a strong urge to see that the right thing happens, and even to make things right, when others are not. Do you have a “justice bone?” Have you ever spoken up, when others would not? What was the result? Judy and her mother vary on their opinions of illegal immigrants, although through their experiences in the book, they both learn a lot about the issue. 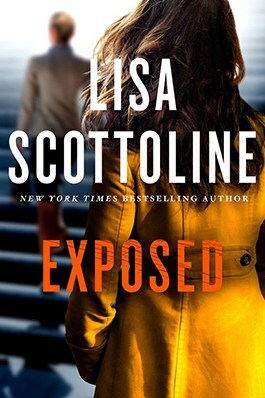 In writing the book, Lisa did extensive research on the topic, and learned a lot herself. Do you identify more with Judy or her mother? What did you learn about illegal immigration that you did not previously know? After reading the book did your opinion change at all? If so, how? Judy and Mary would likely disagree on some of their views of illegal immigrations as well. How do you and your best friend handle situations in which you disagree? Do you avoid topics such as politics, religion, or other hot button topics, or do you enjoy discussing them with someone you are close with? What is the most significant thing that you and your best friend disagree about? Harvesting mushrooms is not a pleasant or an easy job, and one that many would not be willing to do. What is the worst job you have ever had? What was your favorite job? What jobs would you never be willing to do? What job do you wish you had? Many industries are supported by illegal workers, and has become an “open secret” that is often ignored by the government and law enforcement. Why do you think this is true? If you were in political office, what changes would you suggest in dealing with this important issue? Having spent so much time with Mary’s warm, loving, and emotional family, Judy has come to the realization that her family was connected through activities, more than a solid emotional connection. What kind of connection does your family have? In what ways is Judy’s mother similar to your mother? In what ways is she different? What are your favorite family memories? What is one thing you would change about your family? Lisa often explores, researches, and writes about issues that are relevant to women, and in Betrayed, she tackles the extremely important topic of breast cancer. 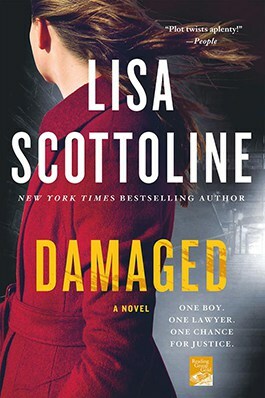 What are some other women’s issues that you would like to see Lisa write about? What do you think is the most important issue facing women today? In what ways can women be more supportive of other women? 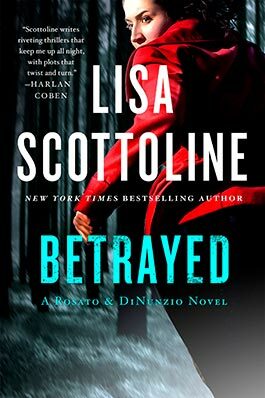 The idea of the traditional family is blurred in Betrayed. For a variety of reasons, sometimes we need to create family, and we find it through friendships, communities, or churches. Besides your blood family, who in your life do you consider family? In Betrayed Judy feels like she “blew her lead.” She is feeling left behind as her best friend makes partner, and is getting married. Do you think it is possible to be happy for someone else, even though you might be jealous at the same time? If Mary wasn’t getting married, do you think Judy would still have felt discontent in her relationship? When you feel jealous, does it motivate you to work harder for what you want, or does it bring you down? In what ways do you think Judy and Mary’s relationship will change when Mary gets married?